NEW CARROLLTON, Md. – New national research indicates that training teachers to integrate mobile technology into instruction may have a positive effect on students’ standardized test scores and academic achievement. The research comes from an evaluation study, conducted by the International Society for Technology in Education, of an innovative and comprehensive teacher professional development program, Verizon Innovative Learning Schools. A collaboration of the Verizon Foundation and the ISTE, VILS is one of the few training programs of its kind focused on supporting the effective integration of mobile technology in the classroom. Comprising students and teachers from 24 elementary, middle and high schools across the country, VILS provides individualized, on-site and virtual professional development tailored to address specific areas for improvement at each school as identified by a preliminary needs assessment. · Standardized test scores in math of students participating in the program increased by 4.13 percent, while the test scores of students in a control group of schools that are using mobile technology but are not participating in the program (and did not receive teacher training on how to use mobile technology) declined by 4.62 percent. · Teachers in the VILS program reported that 35 percent of their students showed higher scores on classroom assessments; 32 percent showed increased engagement in the classroom; and 62 percent demonstrated increased proficiency with mobile devices. · Sixty percent of the teachers also reported that by using their mobile devices, they were providing more one-on-one help to individual students, and 47 percent said they are spending less time on lectures to the entire class. 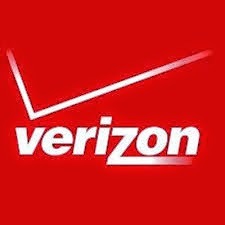 Due to these promising initial results, the Verizon Foundation and ISTE are launching an online teacher professional development program called the Verizon Mobile Learning Academy to enable teams of teachers across the country to participate in mobile technology training through free, moderated virtual courses that will earn participants Continuing Education Units. The program aims to train 1,000 teachers over the next year, beginning this fall. The rigorous, multimethod, longitudinal VILS evaluation measured student performance and program impact through teacher and student surveys, classroom observations, and pre- and post- standardized math and science test scores for participating schools and comparison schools. Six of the 24 VILS schools were included in the evaluation study: Assabet Vocational High School (Marlborough, Mass. ); Charles Carroll Middle School (New Carrollton, Md. ); Hartford Middle School (Canton, Ohio); Lewisville High School (Dallas, Texas); Long Branch Middle School (Long Branch, N.J.); and Niemes Elementary School (Cerritos, Calif.). Six schools, each of them near a school in the VILS program, were in the control group. 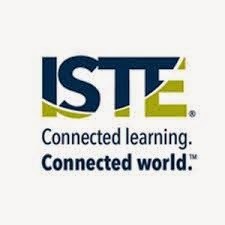 Soon, ISTE will conduct an analysis of 12 schools in the VILS program and comparison sites, strengthening its ability to make conclusions about the program. More information and pre-registration for the Verizon Mobile Learning Academy can be found at http://responsibility.verizon.com/learning-academy, and more information about the findings of the Verizon Innovative Learning Schools evaluation study are available here http://responsibility.verizon.com/education/2013#vils.